Farm to Cafeteria Canada is proud of our work with many partners to get the highest quality foods possible on the minds and on the plates of those who live, work, learn, and are healed in our public institutions. 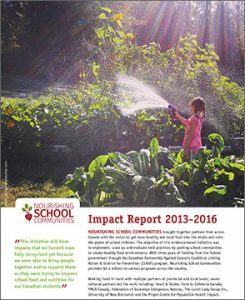 Together we have accomplished much in a few short years – particularly on the Farm to School front. We are gearing up to deepen and expand our support in campus and health care settings. 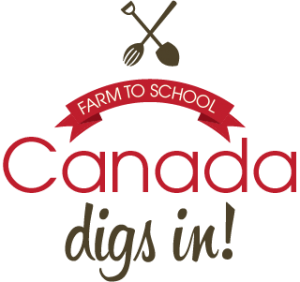 Farm to School Canada Digs In! is a pan Canadian initiative designed to scale up and evaluate promising Farm to School practices in school and campus settings in urban, rural, remote and first nations communities across the country. Convening national conferences to advance momentum to get more healthy local foods in Canada’s public institutions is one of our core activities. The National Farm to School Conference planned for the spring of 2019 is the 3rd in a series of national conferences hosted or co-hosted by Farm to Cafeteria Canada. Farm to Cafeteria Canada has created and maintains the only national map of activity underway in Canadian preschools, schools and universities to get more healthy and local foods in the minds and on the plates of students. Members of school communities engaged in growing, harvesting, purchasing, cooking, serving and eating healthy local foods have been registering their activity. As number of schools, students, gardens, cooking clubs and amount of local foods procured grows – so does the interest of policy makers and funders! 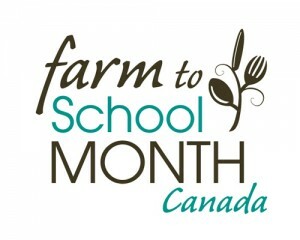 Each October, Farm to Cafeteria Canada collaborates with lead agencies across the nation to organize and deliver annual Farm to School Month CANADA Campaigns. These national campaigns run concurrently with the US Farm to School Month campaigns organized by the US National Farm to School Network. Canadian campaigns are designed to engage and connect preschool, school and campus communities in activities to celebrate Farm to School. 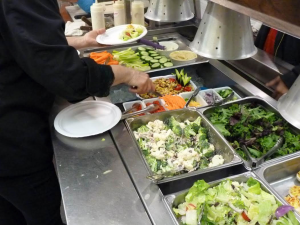 Farm to Cafeteria Canada has partnered with the Whole Kids Foundation to deliver grants directly to Canadian schools to support their plans to bring the local harvest into school cafeterias where is served up in a salad bar. Since 2016, grants have been delivered to dozens of schools in Canada enabling thousands of students with opportunities to grow, harvest, cook, preserve and eat healthy local sustainable foods. In 2012, thanks to a generous contribution from J.W. McConnell Family Foundation Farm to Cafeteria Canada commissioned the first national survey of local food activity in Canadian schools, campuses and health cares facilities. 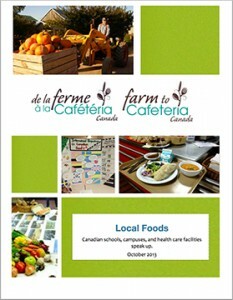 The report Local Foods: Canadian Schools, campuses and Health care Facilities concludes “activity to bring healthy, local and sustainable foods into public agencies is gearing up in almost every province and territory in Canada – and there is a hunger for more”. Atkinson, McKenna, Bays et al 2013).